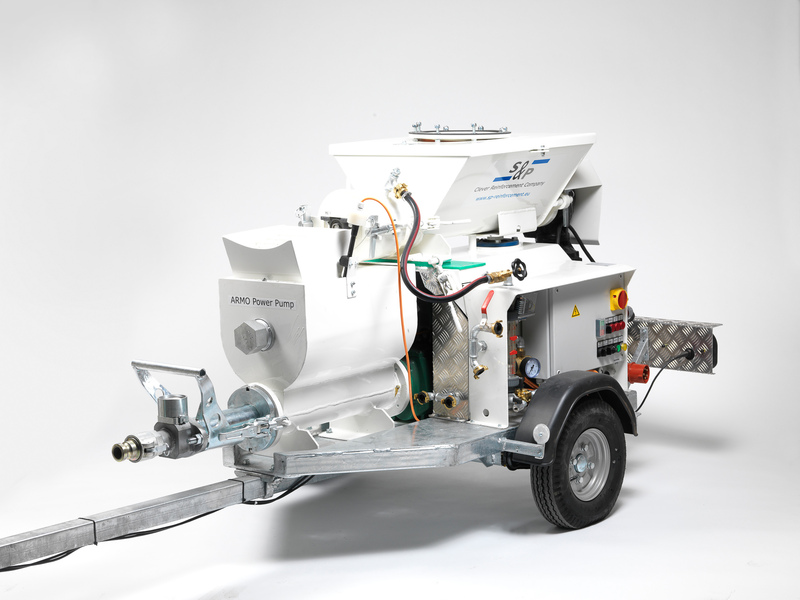 The S&P ARMO Power Pump has been developed specially for the S&P ARMO-crete w (wet sprayed mortar). The pump can be fed directly from a silo or from bags of material. The patented after-mixer guarantees, that the mortar's required mixing time is observed. The water column ensures a constant addition of water. This means, moreover, savings in labour costs for the "silo company" and an elimination of dust generation. This page is not pinned. Pin this. We appreciate your interest. Take a look at the data. If you have any questions or need help, please contact us.